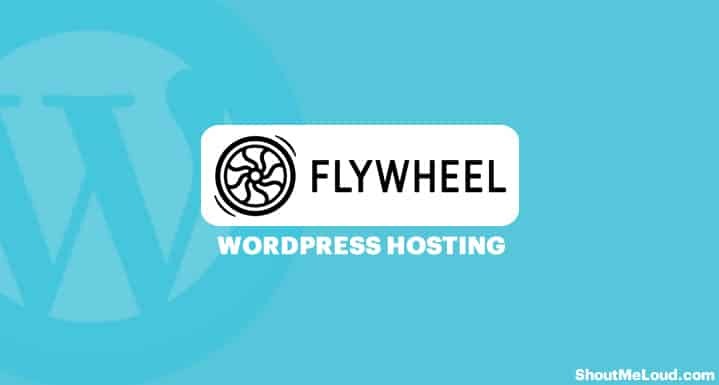 If you’re in the market for managed WordPress hosting, you’ve probably come across the name Flywheel. But what does that actually mean? And should you choose Flywheel to host your WordPress site? 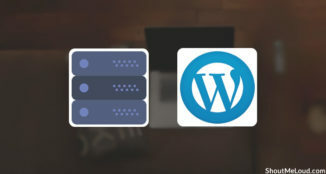 In this post, I’ll discuss the general features that you’ll get with Flywheel hosting, as well as some of the unique features Flywheel offers that help you save time when developing WordPress websites. In comparison to many other WordPress hosts, Flywheel puts a ton of effort into differentiating itself, so you’ll definitely want to check those features out. 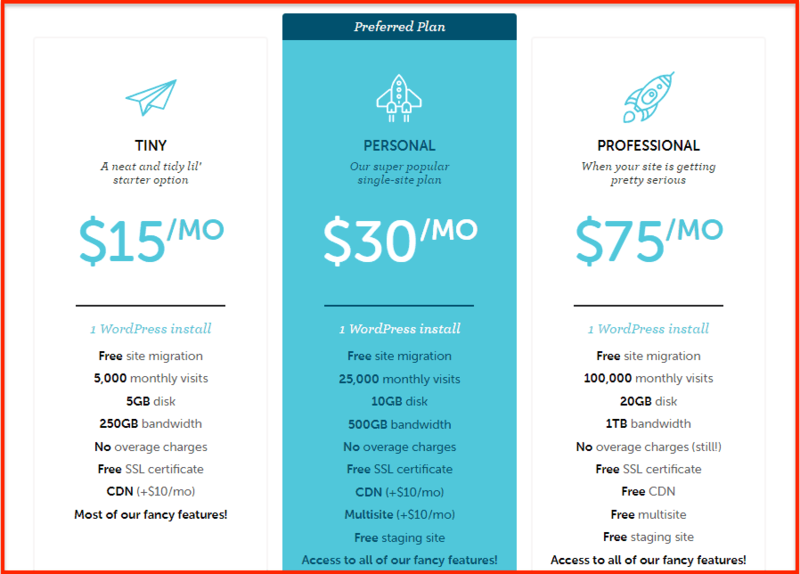 At the end of this post, I’ll compare Flywheel’s pricing with some other managed WordPress hosts and give you my recommendation for whether or not you should choose Flywheel WordPress hosting. How Much Does Flywheel Hosting Cost? 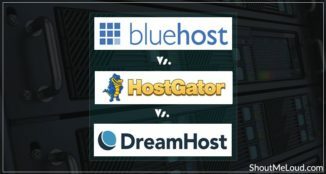 Should You Choose Flywheel Hosting? Automatic updates – Flywheel automatically updates the core WordPress software for you. Automatic backups – Flywheel backs up your site every single night. You can also view snapshots of each backup and restore a backup with just a few clicks. No backup plugin needed. Easy staging sites – In addition to some other helpful development features that I’ll talk about in the next section, Flywheel makes it easy to create a staging version of your site. Built-in Varnish caching engine – Flywheel utilizes server-side caching to make your WordPress site load quickly without the need for a caching plugin. Free SSL certificate – Flywheel offers a free Let’sEncrypt SSL certificate on all its plans. Installation takes just a few clicks. WordPress-specific security – Flywheel incorporates limited login attempts, IP blocking, Sucuri, and more to ensure that your site is secure without the need for a third-party security plugin. Free malware removal – If something does happen to your site, Flywheel will fix it for free. 10 different data centers – Flywheel lets you choose from 10 different data centers spread across North America, Europe, and Asia so that you can choose a data center close to your visitors. 24/7 expert WordPress support – Get help whenever you need it via phone, email, or live chat. As I told you at the beginning, Flywheel brands itself as being “built for designers and agencies”. 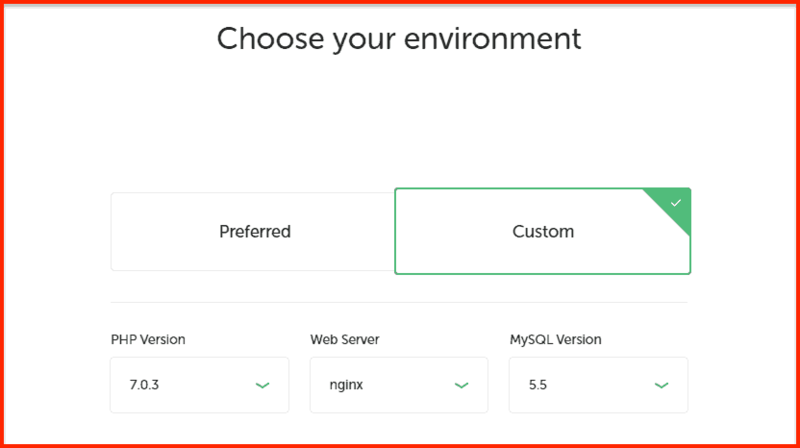 That means you get access to a number of unique features that you won’t find with other WordPress hosts. Now, depending on your specific needs, you may or may not actually take advantage of every single one of these features. That is, some of the features are only really helpful if you are a designer or agency working with clients. However, some of the unique features are helpful no matter what. Local by Flywheel is a WordPress local development tool similar to XAMPP or WAMP. Unlike those tools, though, Local by Flywheel exclusively focuses on WordPress development. You don’t actually need to be a Flywheel customer to take advantage of Local by Flywheel (the tool is free to the public). 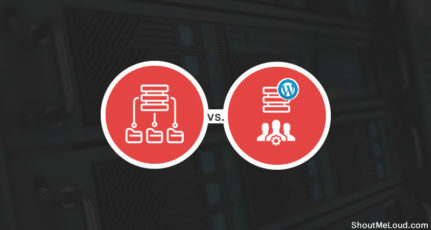 But if you are a Flywheel customer, you can use its Connect to Flywheel feature to automatically push your WordPress site straight from your local environment to your Flywheel server. Similarly, you can go in reverse and automatically create a local development version of an existing site on Flywheel’s servers. While this is especially helpful if you’re working with clients, it’s also a huge time-saver if you need to do development work on your own site(s). Another unique feature that you get with Flywheel is something called Blueprints. 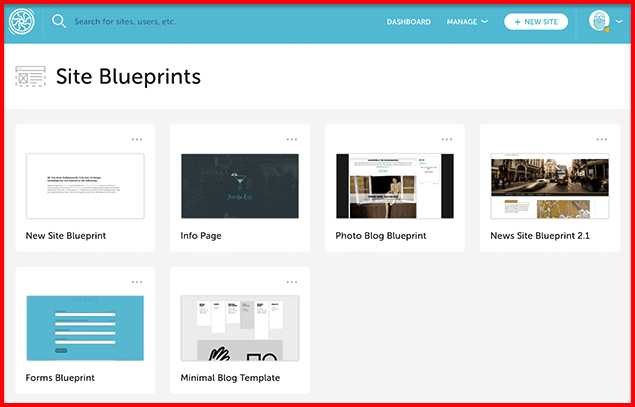 A Blueprint is a pre-defined package of themes and plugins. Once you create some Blueprints, you can use them as the foundation for quickly launching new WordPress sites. For example, you could create a “Blog Blueprint” that includes all the plugins every blog needs. Then, to launch a new blog, you just create a site from that Blueprint rather than manually installing each plugin every time you launch a new blog. Like Local by Flywheel, this helps save you time when creating WordPress sites. While the previous two features are helpful even if you’re just a regular WordPress user, Flywheel’s team and client workflows are really only helpful if you’re running an agency that works with clients. Organizations – Create an organization profile that houses your entire team and helps with project management. Easy Collaboration – Invite other team members to work on projects without needing to share passwords. Billing Transfer – Easily transfer billing for Flywheel to your client once you finish working on their site. While the TINY plan is an affordable way to get started, it lacks some of Flywheel’s more advanced features. So if you want all of the features that I discussed above, you’ll need to choose the PERSONAL plan starting at $30 per month. 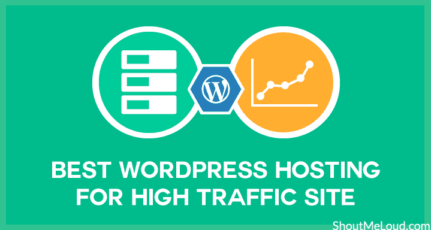 How does that stack up to other managed WordPress hosts? As you can see in the table above, Flywheel is definitely competitive with other best WordPress managed hosting providers. If you build WordPress websites for clients, I think Flywheel hosting is a great option. It has a ton of unique features that will save you time and make your life easier. Better yet, Flywheel gives you those features at a competitive price. If you’re a regular WordPress user (that is – you don’t build sites for clients), the decision is a bit tougher. 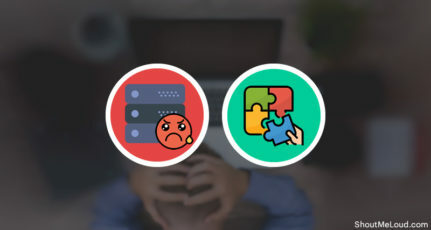 While some of Flywheel’s unique features are still helpful, the managed WordPress hosting market at Flywheel’s price point just got a lot more competitive. Kinsta, which is where I host ShoutMeLoud, recently launched a new set of plans that start at just $30 per month (previously – Kinsta’s cheapest plan was $100 per month). 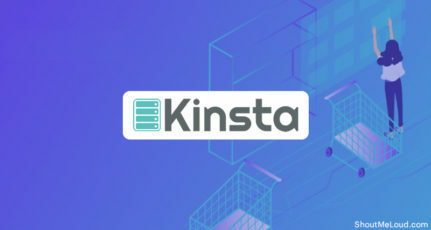 Given that you can now host your site at Kinsta for the same price as Flywheel’s PERSONAL plan, and based on my own positive personal experience with Kinsta, I would recommend Kinsta as the first choice if you’re a normal WordPress user looking for managed WordPress hosting at this price point. But that’s not to say that Flywheel isn’t good! Give it a shot and let me know! Have you used Flywheel to host your WordPress website? Let me know your experience in the comments below! Perfectly reviewed the flywheel WordPress hosting. But as you say, I think kinsta is preferable than flywheel because it offers more. My friend using flywheel it is a good option for WordPress sites. This is the first time I’m learning about FlyWheel Hosting. Chooing a managed hosting plan is the right thing to do when starting a new blog online. They are a little bit more pricey than shared hosting plans but they are all worth it. I use WPX Hosting which has similar features to the ones you’ve listed here. Flywheel and WP Engine are my favorite hosting solutions. I recommend it to my clients. Many of my clients are now using WP Engines Hosting plans. Flywheel is my second choice. 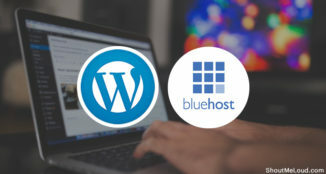 Really Flywheel hosting is the best for WordPress hosting. Flywheel offers very many features compared to other WordPress hosting site.